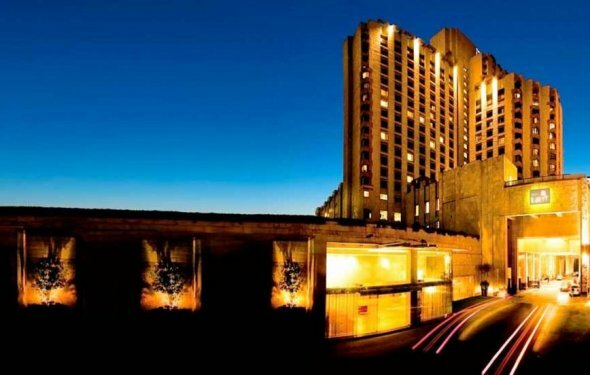 Located in the city centre, The Lalit New Delhi is just 35 minutes drive from the airport and 10 minutes drive from the railway station. The hotel is 10 minutes drive from the trade fair grounds and 15 minutes from several embassies. All major carriers operate domestic flights from the domestic / international terminal. Delhi is very well-connected by rail with all parts of India. Though Delhi has five railway stations, the New Delhi Station and the Old Delhi station are the major stations. Some major trains operate from Nizamuddin railway station, which is in South Delhi. The other two stations in Delhi are Sarai Rohilla and Railway Cantonment stations. Delhi is well-connected with the state roadways of the neighbouring states, like Haryana and Uttar Pradesh, to all important cities and destinations in North India. From the International Airport turn towards Mahipalpur and then to Dhaula Kuan. From Dhaula Kuan turn towards Sardar Patel Marg to 11 Murti, and then from Rashtrapati Bhavan, turn towards India Gate. From India Gate turn towards Copernicus Marg and then to Bengali Market. From Bengali Market, take a left towards the hotel. From the railway station, turn to Shivaji Bridge and then towards Connaught Place. From the Connaught Place outer circle, turn towards Barakhamba Road. The hotel is just adjacent to the Barakhamba Road.